We are 5 days out from a move across Canada, from British Columbia to Ontario. 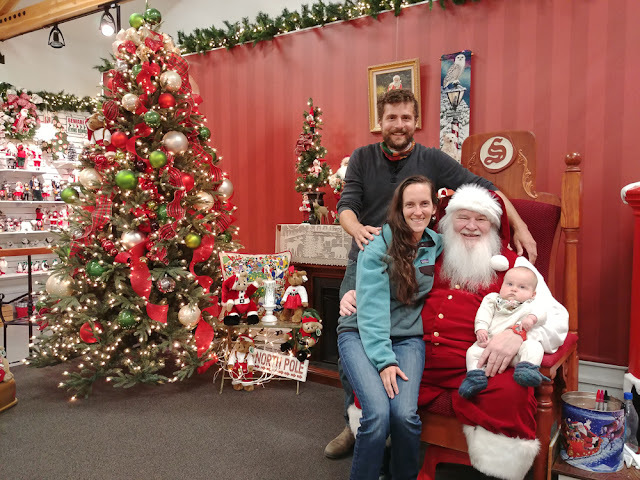 I chat a bit about the move itself and our reasons for moving in this post here, but the whole thing is starting to feel just a bit overwhelming. I mean, we only have 5 more days in beautiful Kitimat, where I look out any window of the apartment and see tree line with a mountain framing it in the background. We have made some pretty amazing friends that we have built routines with around kid/family activities, and lots of good celebrations. The recreation has also definitely provided us with some pretty amazing experiences and opportunities that we will never forget. A good piece of our hearts are in this little town, and every time I think about actually pulling away I feel almost a little panicky. Of course we will come back to visit, and have our photos and memories, but it will never be the same. 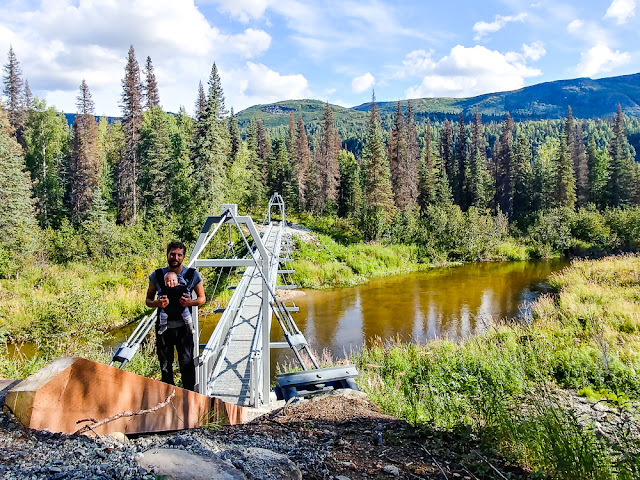 The Kitimat that we are a part of now will grow and change as time goes by. So will we, as well as our friends. We will absolutely stay in touch with as many as we can, but the natural flow we have created will be gone forever. As much as this brings me great sadness, I'm aware of the natural flows we will create in our lives together where ever we live, but there is something to be said for the nostalgia that gets created in our day-to-day routines with friends and family through the different seasons of our lives. The logistics of packing is also always a little stressful for me, even though I've done this packing and moving thing 12-13 times. I should be an old pro, and in some ways I have it all down pat. However, this move will involve four days of driving, one flight, and four days of waiting for Chad and his dad to drive the rest of the way across the country. AKA What do we absolutely need with us and what can we wait for? I'm not only packing for myself, but also for Eli in this shuffle. 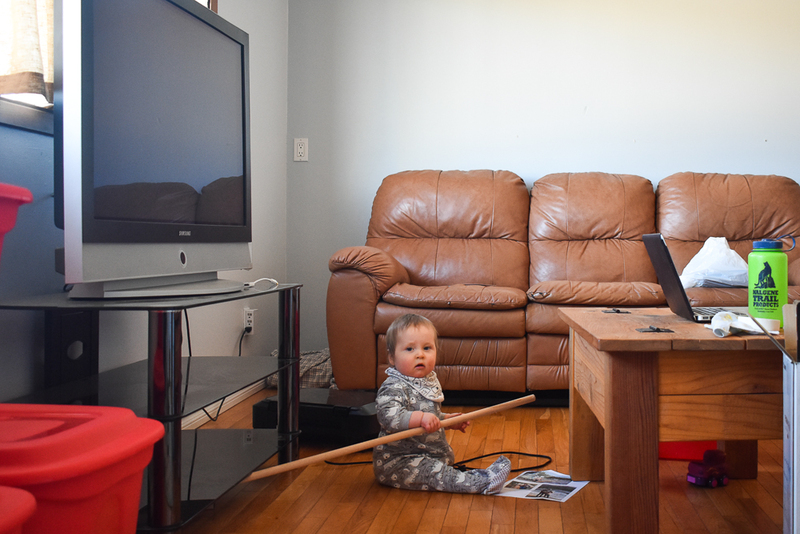 Packing with a baby is also an interesting experience. Eli does his best to 'help', but definitely spreads the whole packing process out a couple more days. We are also still trying to maintain decent healthy meals and keeping up with extracurriculars in this process. 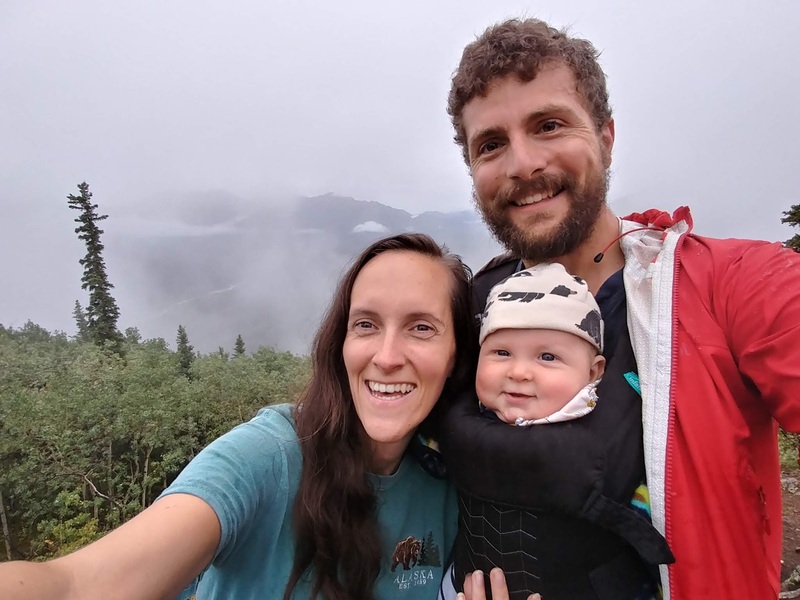 Needless to say I have a head cold brewing, and starting to feel that exhaustion in pregnancy that everyone talks about, but never seemed to be an experience for me in my first pregnancy. I also haven't even begun to imagine what this transition is going to look like for Eli or how he is going to react to the multitude of different places he will sleep in, and the adjustment of his new home. 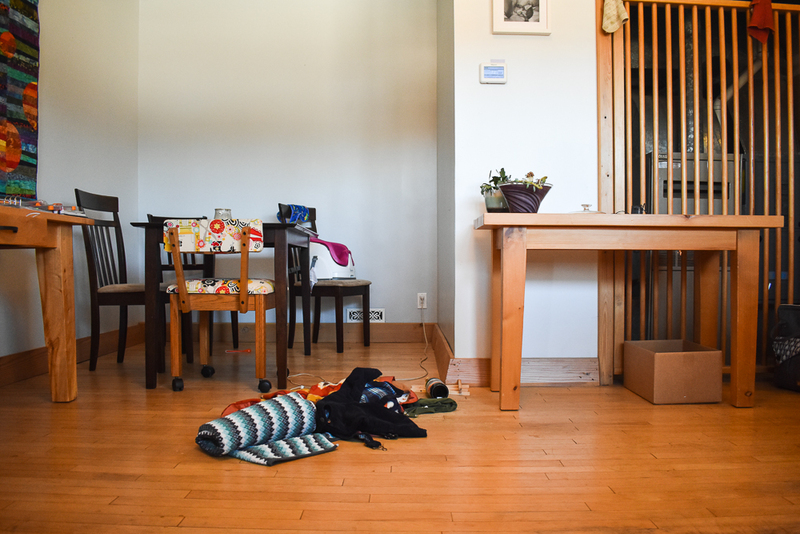 So basically this whirlwind week of packing/moving logistics + excitement for setting up our lives in Ontario + sadness of change and leaving this home is making this whole process feel just a bit harder than I remember it being to move to a different place. It could also be the whole pregnancy hormones thing adding to all the feels about moving, but I refuse to give my hormones that much power. Also, the stagnant feeling of packing and putting all future planning on hold until the move is complete definitely leads to counting down these precious days and also feeling really ready to pull the trigger on the move. I'm also reminding myself to soak up every single minute that we have left here. So I feel sad to leave, but eager to leave, and clinging to every moment left here. Not confusing at all. Its like having an annoying roommate in my head that goes back and forth on their decision making on a minute-to-minute basis. This is not to say that I'm also not full of excitement to be back in Ontario. We just need to get past this weird limbo where our time here in Kitimat is coming to an end, but our life in Ontario hasn't really started yet and this packing, planning, and time counting version of purgatory is killer. Basically, change is hard, but exciting. Necessary, but difficult. I'm just glad that we are making this decision together and both fully committed to our lives together. I feel like we are losing some of the magic here, but I remind myself daily that we brought some of that magic with us, and we will take it with us wherever we go. Hey folks. 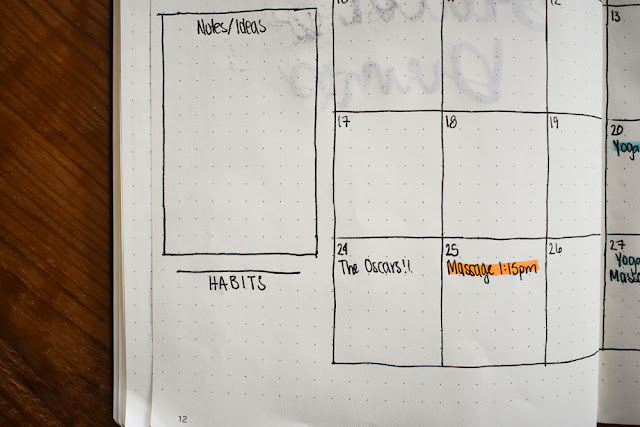 I've mentioned in a couple posts that I would be sharing a little bit about my beginnings with bullet journalling this year so here it is. 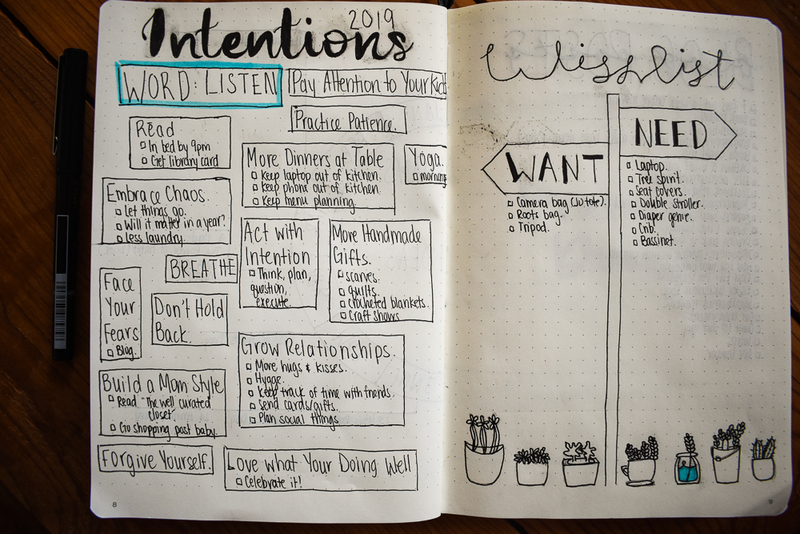 In January I shared a little about my intentions for the year and how I plan on using them, and one of the ways I thought I'd be better able to keep track over the months of these intentions was through a bullet journal. 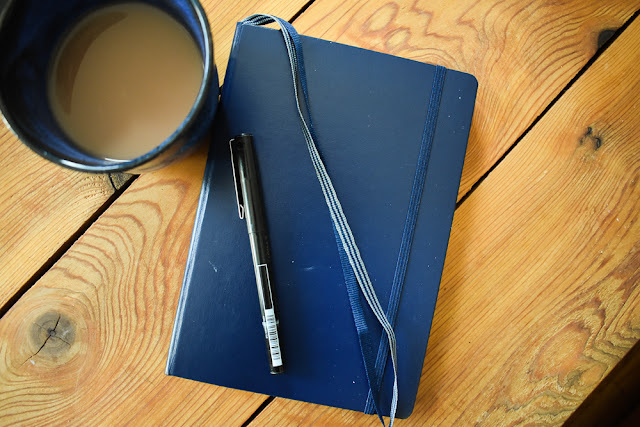 I have to be honest that I've seen bullet journalling in the past as something that just wasn't for me. There are lots of great layouts on pinterest for how to set one up, but I initially thought they were just another form of procrastination. Kind of like procrastinating doing the 'to do list' by writing out the most beautiful 'to do list' ever, complete with illustrations and colouring. I also don't think of myself as an abstractly creative person. I like linear things, patterns, instructions, how to's, and a general guide line for all of my crafting (ironically). So I also saw bullet journalling as relatively useless to me since I don't draw or experiment with hand writing. However, my switch within the past year to motherhood and being home with my little one has changed the way I use a day planner and calendar. 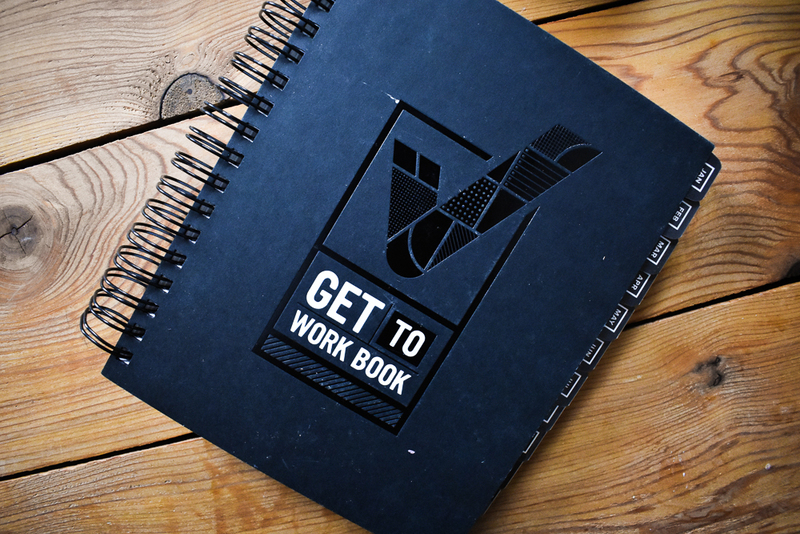 I previously used the Get To Work Book for the past two years while working full-time and I found it to be the best planner I've ever had. I honestly cannot recommend this planner enough. It met my work and personal life needs perfectly. Now that I am home full time, my weekly calendar isn't as full of appointments and I needed something a little less in depth. I've found myself in the past several months living off of a wall calendar and a very long running to do list on whatever paper is available. Even though I get on okay with this system, I found myself wanting to keep track of other things in life. What's more I need to keep my lists and ideas all in one spot as I'm sure many of us prefer. I love technology, but I was raised on the paper list and am slightly suspicious of computers and phones breaking down leading to a loss of all of our precious information. Lastly, I couldn't find a planner that I felt met my needs well since most focus on a big weekly layout and not much else. So I re-considered the bullet journal. After some heavy research on pinterest I realized that bullet journalling can be anything you need it to be and that a lot of people out there are keeping it simple and minimal, which appealed to me. So I started looking for the THE bullet journal which evidently is the Leuchtturm1917 dotted notebooks. Obviously there are no specific bullet journalling pens, but I use the V7 Hi-tecpoint Pilot drafting pens. I'm pretty picky about my pens because I'm left-handed and hate smearing ink across the page (left-handers will understand this). * To see my whole year at a glance. * Track birthdays, special events, and gift ideas. 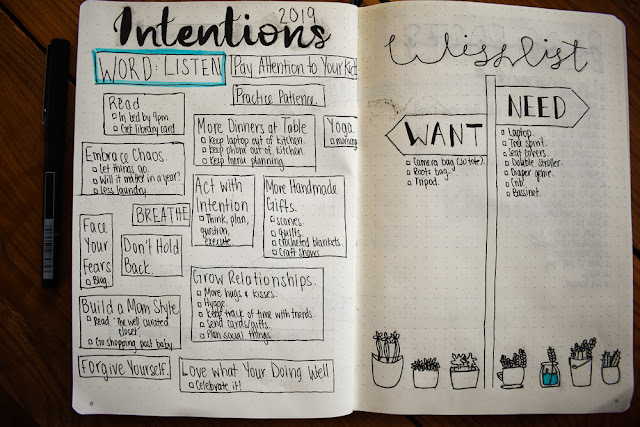 * Track my intentions for 2019 and word for the year. * Lists of wants vs needs. * Monthly at a glance calendars. * Weekly spread with to do lists and meal planning ideas. * A space in the back for other lists (i.e. passwords, address change list, etc.). 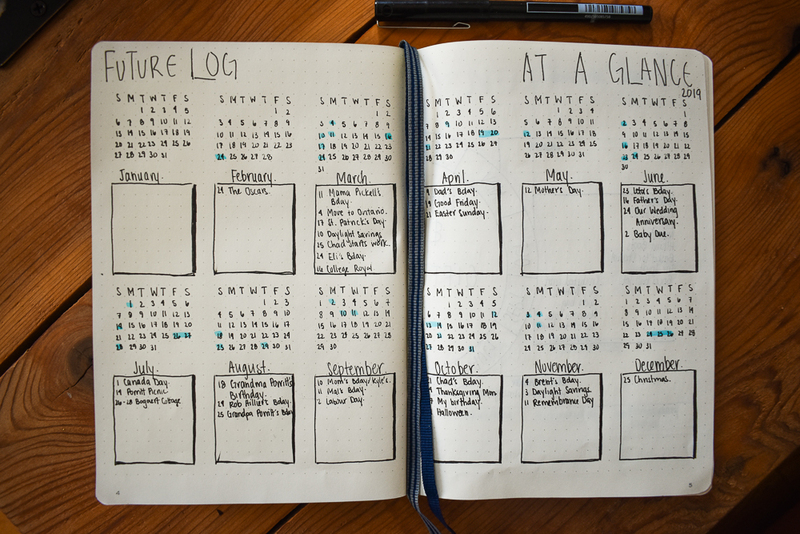 I wanted to be able to see the whole year at a glance and know how many and which special events (i.e. birthdays and holidays) were coming up in each respective month. I also highlighted out on the calendars where these dates fall so I can see the timing of things. Basically, I want nothing to sneak up on me this year. I kept it super simple because I'm a perfectionist and doing more means more time. 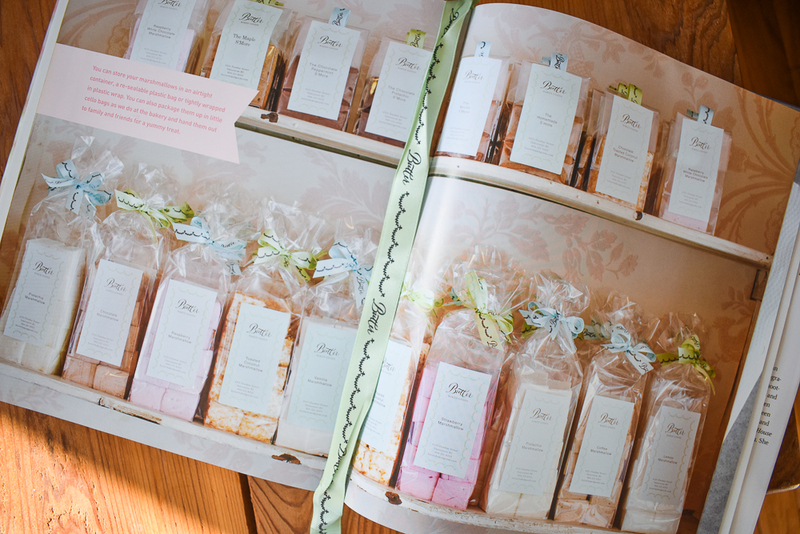 A full page spread for birthday, special events, and gift lists keeps the gift giving we do throughout the year simple and stress free. I hate last minute gift buying, as I find it always feels less thoughtful (unless I find that perfect gift for someone a week before their birthday) so I'm hoping this helps. 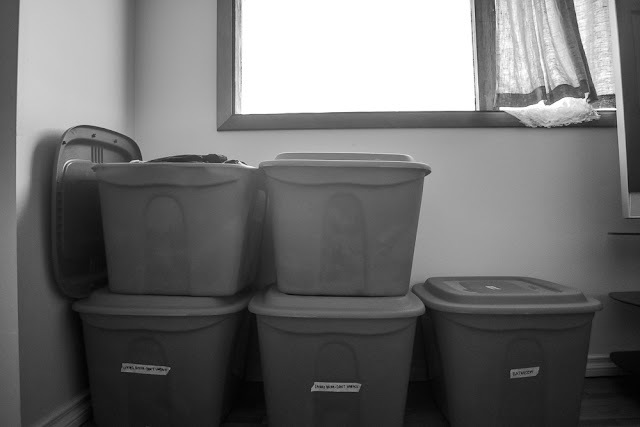 Each box is an intention I have set for the year as in "I intend to do these things" not "I have to do these things". I've also included some bullet points for small ways to accomplish these intentions. I'm hoping to focus each month around at least one. I've also documented these here in hopes that I will see it more often and remember what I wanted for myself this year. The opposite side is a 'want vs need' list to keep things in perspective and to remember to save up for wanted things rather than splurging. 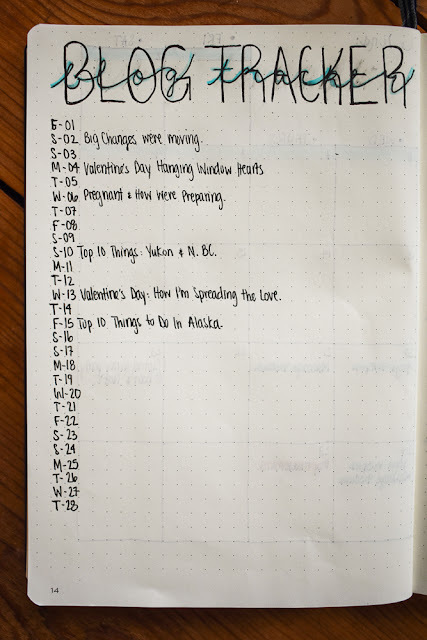 Again, super simple pages and I won't have to update these too much throughout the year, except for potentially adding to the want vs. need list. 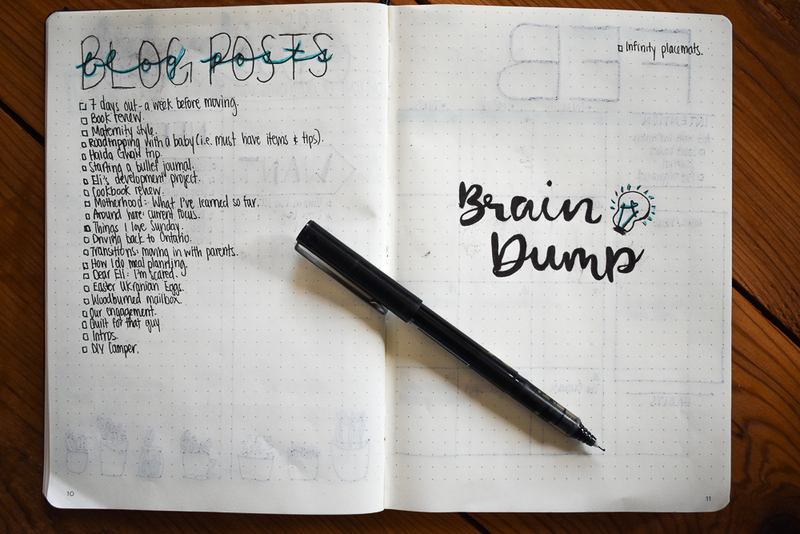 Here I keep my running list of blog post ideas and a general brain dump for other ideas or project plans that pop into my head. My brain looks pretty empty currently, but I have a whole year to fill this page if my brain comes up with ideas. These were the key pages that I want to include every year or felt I would be updating most often, hence why they are at the front of the book. I live for the month at a glance. I'll be trying different layouts each month to find the one I like best, but I also added on a few of my own touches that I wanted to keep track of month-to-month. Like monthly 'wins'. This mostly includes finished projects or other things that I feel like were achievements for the month. I find this helps a ton when it comes to reflecting on a month or the year and wondering what you all accomplished with those 30 or 365 days?! There it is in writing exactly what you accomplished. I realized through past planners that I get a lot more accomplished in a year then I think I do simply by using this tool. 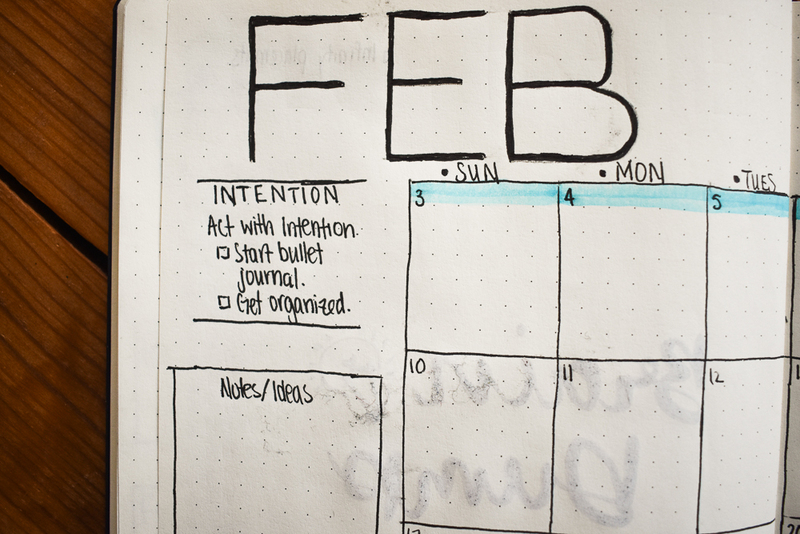 I've also included the intention that I want to focus on for the month on my month-at-a-glance page, as well as a few ways that I can start doing it. 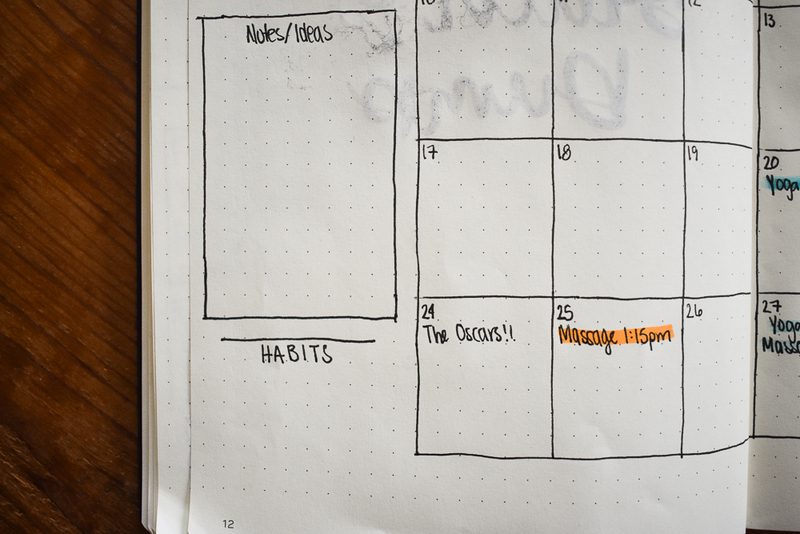 I'm not yet at a place where I feel I should also track daily if I'm practicing my own suggestions for that intention. I also included a spot for notes/ideas. I don't know yet what I will need this for, but I know that I will. And of course habits. There are some advanced 'habit tracker' layouts on pinterest, but if I set too many specific goals for myself I basically fail at all of them. Not sure why, but I don't do well with strict rules or restrictions. My habits right now are exercise, drinking more water, and reading. With no real rules. I just mark on each calendar day if I did it or not, just to see how I'm doing in general without trying too hard or not trying at all. I find I get way more out of myself it I take a lot of the pressure off and just do. I'm pretty new to blogging and, along with what I said above, I fail when I get too specific with my goals. So instead I have a blog tracker to see how often I am naturally getting posts up. I'm not paying attention to stats or whose reading. I'm hoping this will keep me focused on why I started the blog in the first place (maybe I'll discuss that in another post - too long for this one). Again, the weekly layout is most often way more intense then my little half page spread. 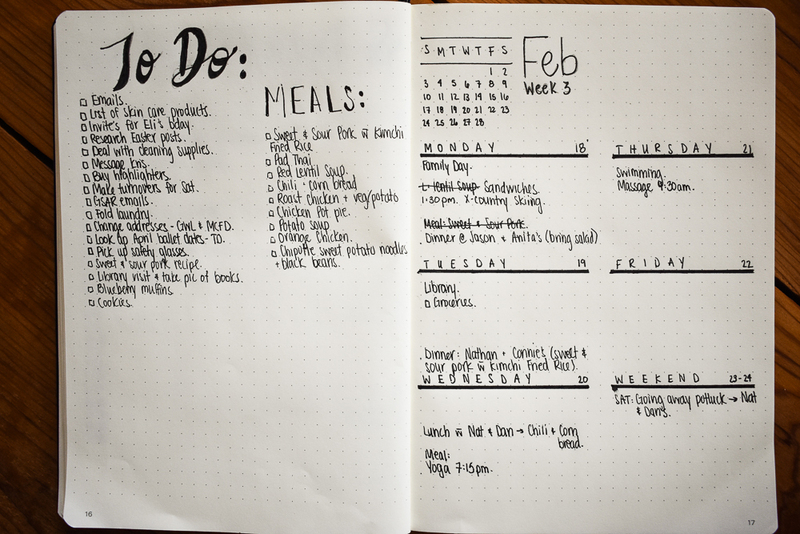 Some people do full spreads just for meal planning. I really only plan dinners and some lunches and I mostly just look at what's in the freezer and find a couple of recipes that fit what we have. So I list those recipes for the week in a short list here and then decide as the week progresses what we will eat. 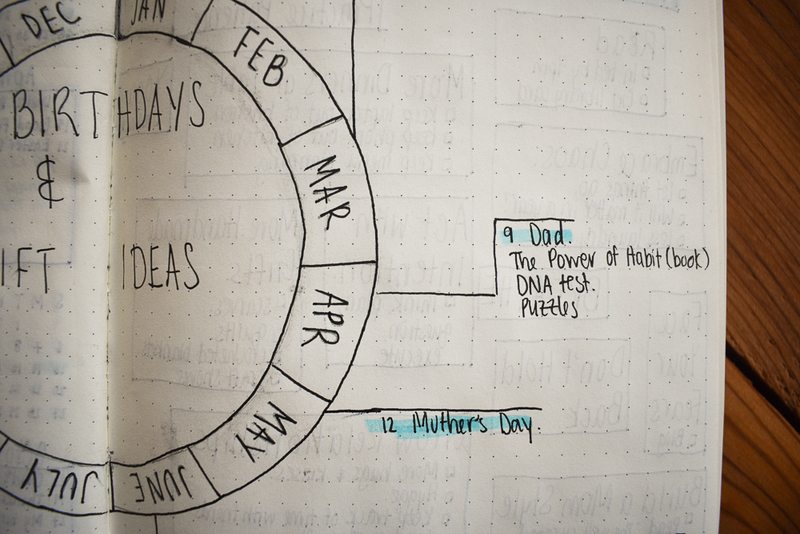 If there are recipes on the list at the end of the week, they roll over into next week. I also keep my long running to do list here. This means I will be re-writing some to do list items next week when I don't get it all done this week, but that's how I like it. 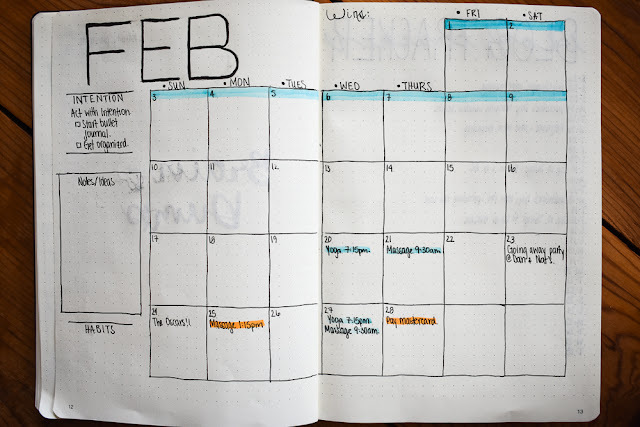 I am planning on changing up the weekly spread each month or so to see what I like best. What do I think of it now that I've been doing it for a week? It's actually super helpful. 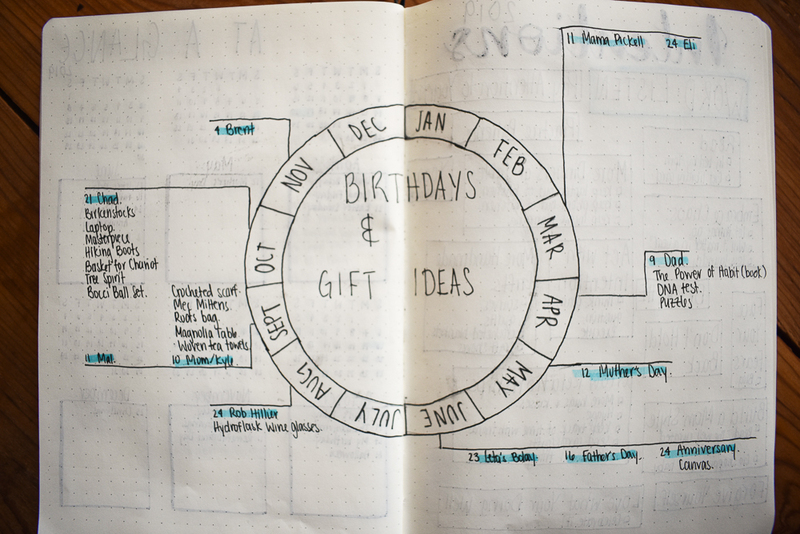 I'm a big planner, quietly neurotic, and I love a good list so, in short, I'm loving it. 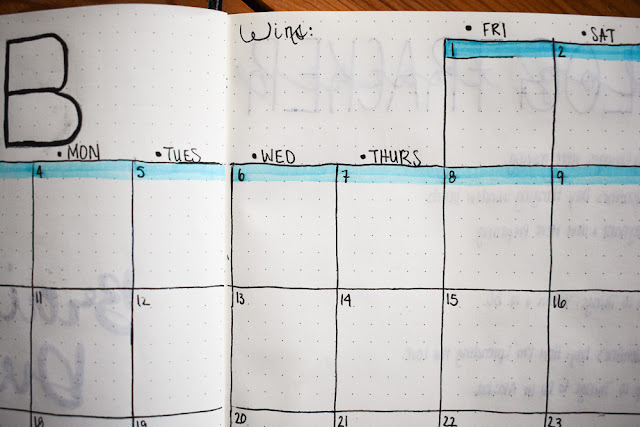 I've also come to the realization that bullet journalling is not at all a form of procrastination, and I'm not sure I'll ever go back to regular planners. Why would I when I can literally create exactly what I need depending on my stage of life? Maybe if life gets busy enough again I'll return to my faithful Get To Work Book. I may do another post at the end of the year on whether I kept up with it, and how it changed with me through the year if anyone is interested. As promised, here is our top 10 list for Alaska on our road trip through the state this past summer. As noted in my previous Top 10: Yukon/northern BC post, I love doing some research before a trip to find some less touristy spots to check out along with our more touristy list. Now that we have Eli I'm also always looking for family-friendly options. Not a whole lot out there on the web laying out some 'off the beaten path' type places in Alaska to go check that are also good to bring kids. Also, finding a variety of options that don't all cost a lot is super helpful. So here's our little list of faves in Alaska. This is easily number one. Of the different legs to our drive, the drive from the Yukon highway into Skagway is definitely in my top 3 for beautifully scenic routes. 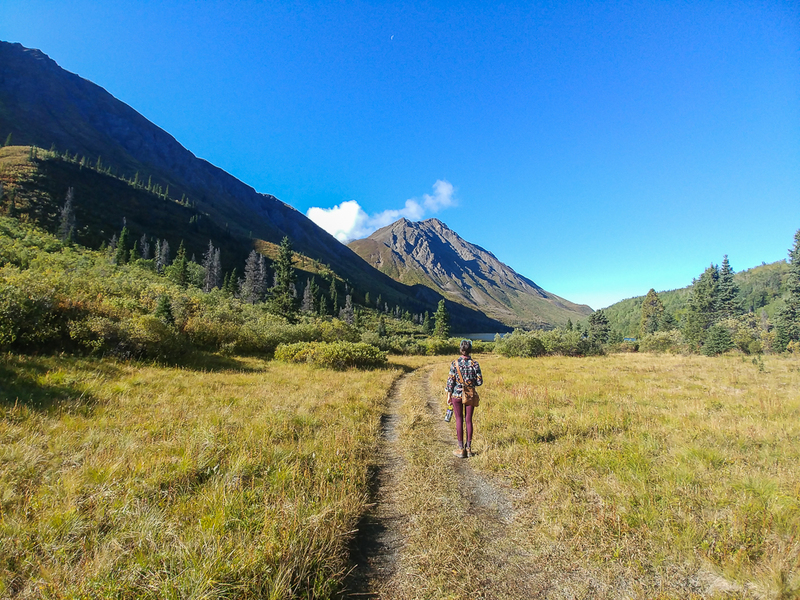 Basically you can stop literally every 5 minutes (especially the closer you get to Skagway) and take uniquely gorgeous landscape pic to stock your Instagram feed for months. 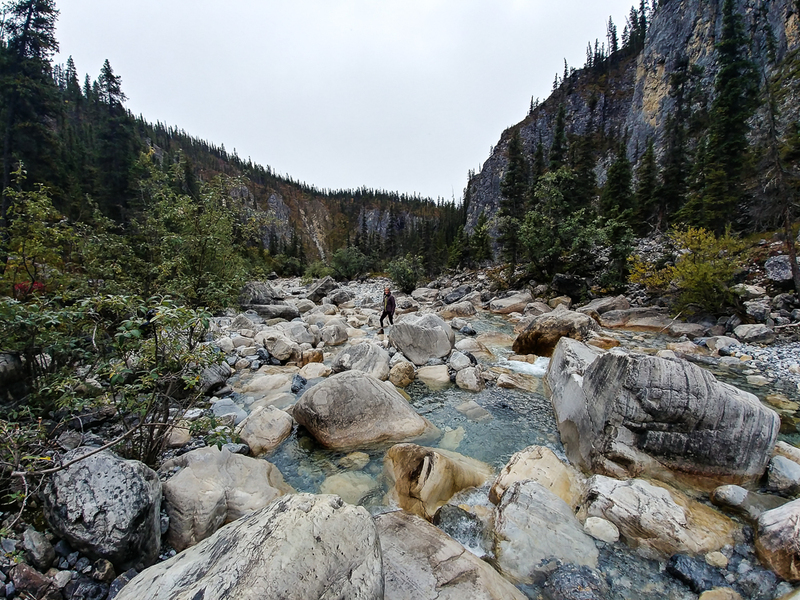 We chose to do this drive on a whim, seeing that it was only an hour and half to Skagway from the Yukon highway. And since we had the time (5 weeks), it was easy for us to add another day to our trip. We had also seen Skagway before on an Alaskan cruise several years ago, and wanted to see the land entry into this port. Another option ($$) is to get on the White Pass/Yukon Route train to see this stretch of scenic mountainous terrain. Most of the trains depart from Skagway and do round trips stopping in places like Carcross, YT and Bennet. And although there is definitely a cost to this train (in US dollars) I would absolutely prioritize it if we ever get back to Skagway. The trip is well worth the cost. Between Anchorage and Denali National Park, and just a short distance off the highway is this super cute, underrated little town called Talkeetna. 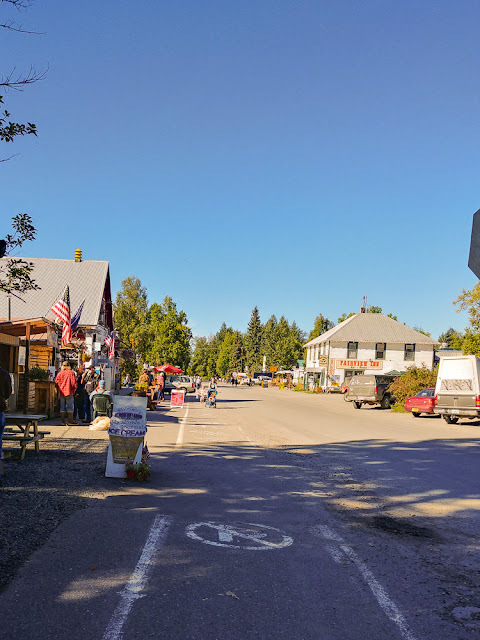 If you're looking for good food, great atmosphere, and cute little shops to pop into and out of for an afternoon, you should absolutely duck into Talkeetna. The Flying Squirrel Bakery Cafe is also the best in the area, boasting some of the most beautiful breads I've ever seen. 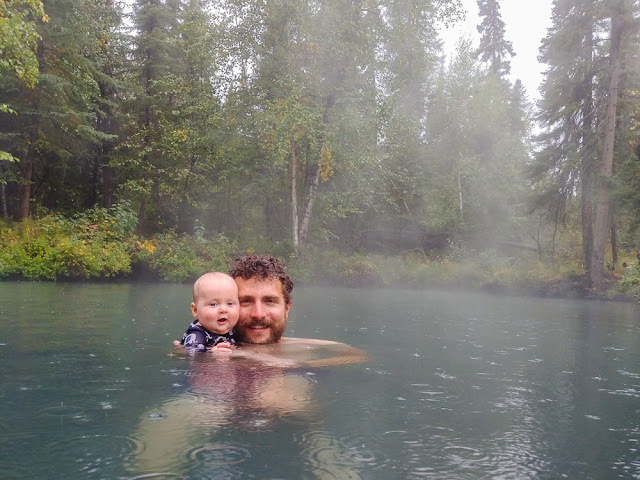 Talkeetna is also a major hub for charters to get into the Alaska backcountry and deeper wilderness. 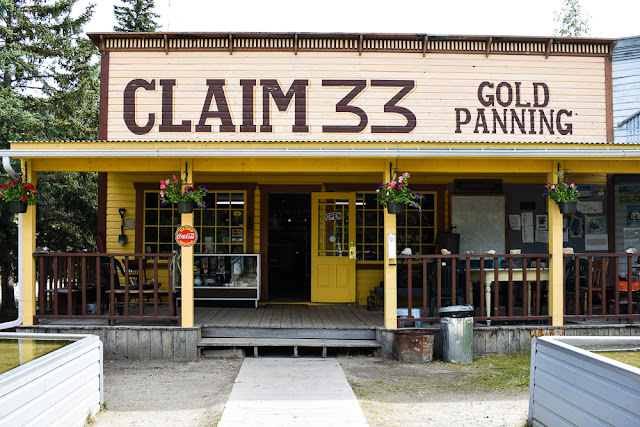 It's super close to Denali so if you were looking for a flightseeing charter of Denali National Park, this is where you'd find it. 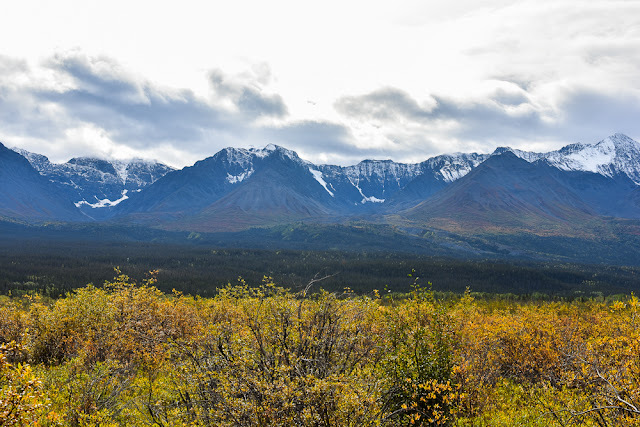 We didn't end up heading directly into Denali National Park due to there being one road that was accessible by a shuttle bus that would take you into the park for a fee. 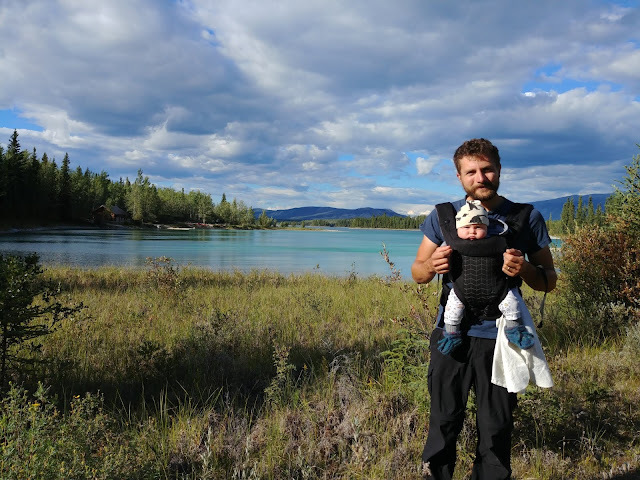 We figured that if we wanted to venture into the park we would need a couple days and thus all of our camping gear, which was strapped to the back of our truck and in our camper. 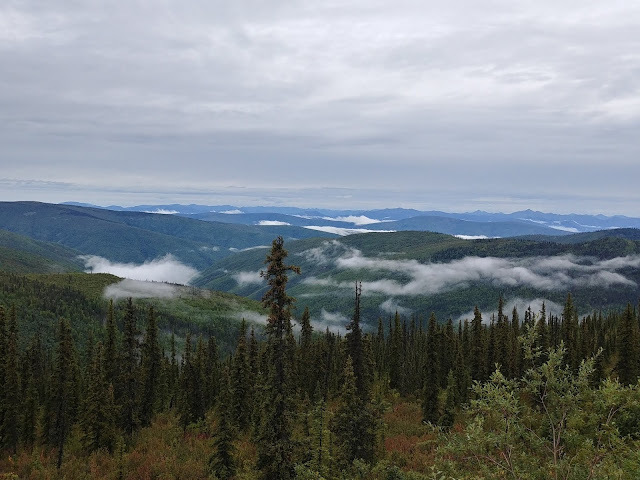 There are some RV campgrounds in Denali that you can access with a park permit, but we weren't planning on spending as much time in Denali as we probably should've. 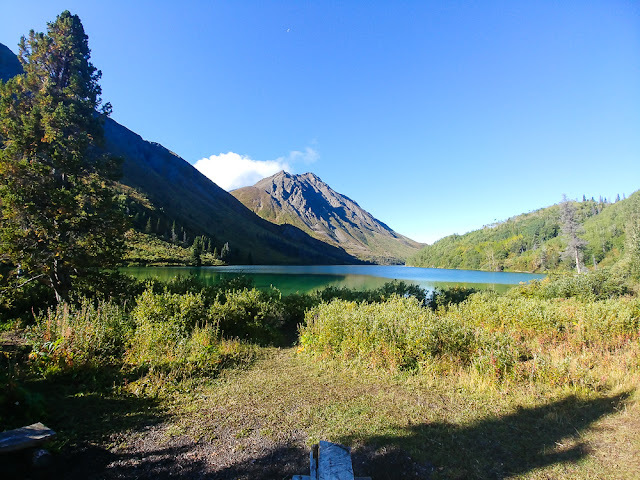 We camped just a little ways up the road at Byers Lake Campground, another state run campground that cost a little less and lead to some equally stunning hiking. We spent a full day hiking around, coming across a very old sunken cabin in the woods, this beautiful bridge over this creek, and a gorgeous waterfall that you could hike up to aways at the end of the trail. This trail travelled out of Byers Lake Campground and was very accessible. Disclaimer: this is a picture of a commerical fishing boat in Valdez. The chartered boats are a) more comfortable and b) not usually this big. 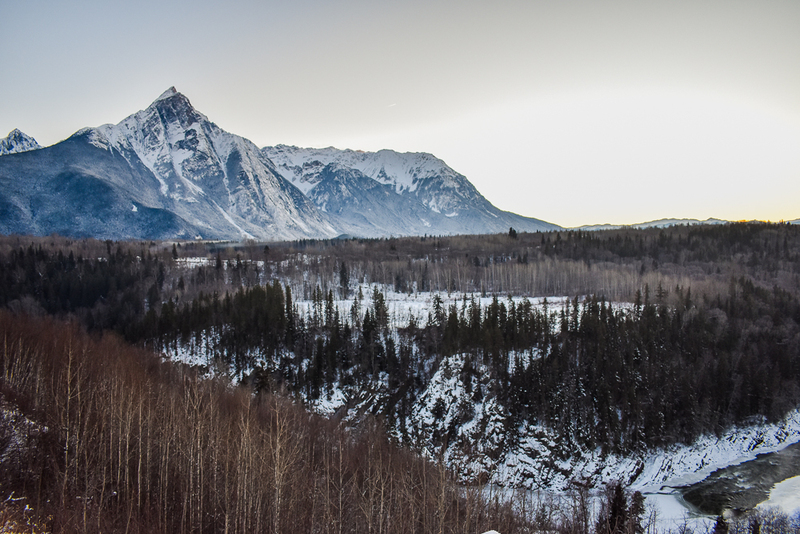 Valdez, AK is stunning. It is a small port in the southern part of mainland Alaska. 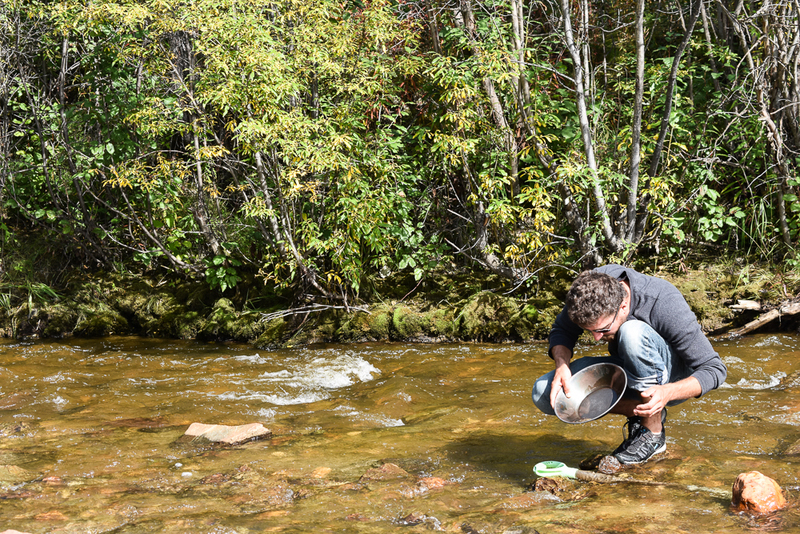 It is well known for its salmon runs and stunning scenery. 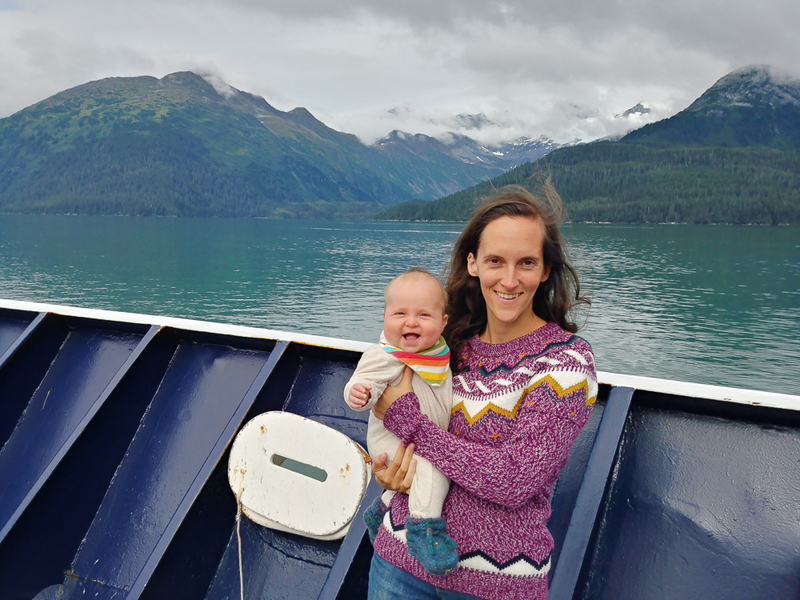 If getting out on the ocean is on your list of things to experience then chartering a boat out of Valdez into Prince William Sound is one of your best bets for incredible wildlife sightseeing and catching some serious seafood. The dock is even set up for gutting, cleaning, and packing your fish before leaving so you don't have to find your own place to do it. 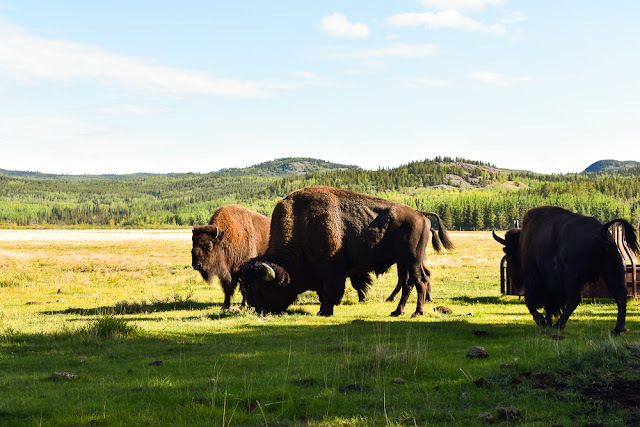 Check out Travel Alaska to find the right charter for you. Note that this option definitely has a cost attached. While in Valdez, hop on a ferry (vehicles permitted) that leaves early morning and takes you on a 6 hour tour through Prince William Sound to Whittier, AK. 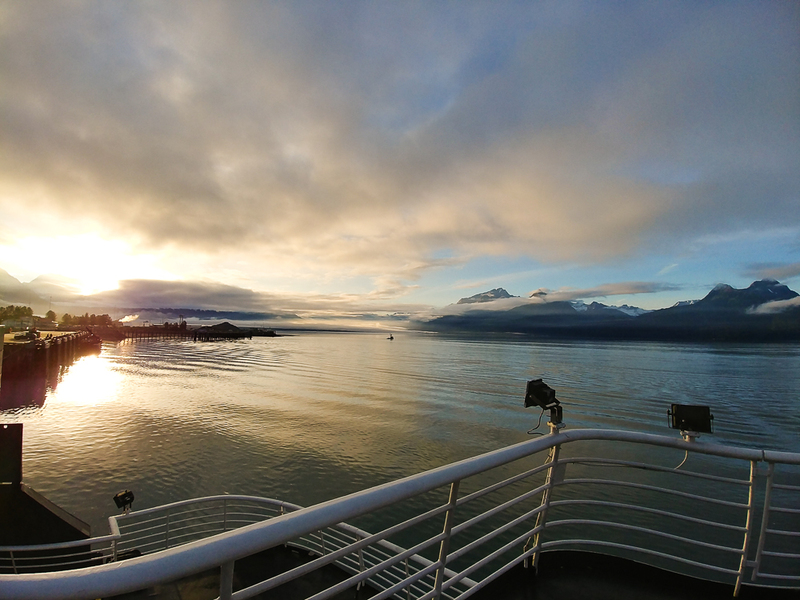 If this is a little out of your price point, there are also several cruise options from both Valdez and Whittier into Prince William Sound for wildlife and glacier viewing. 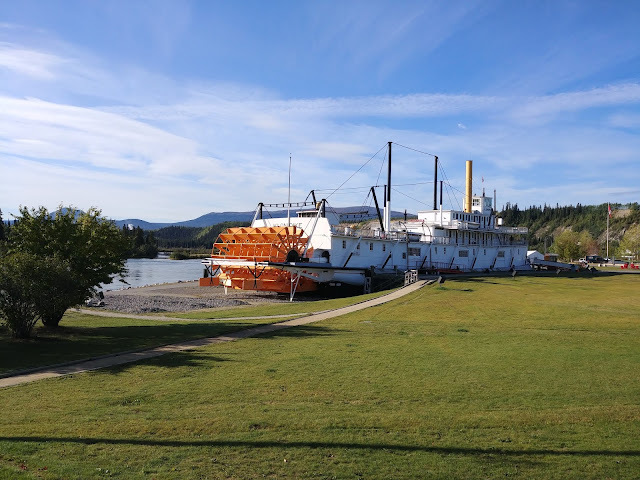 We prioritized and booked this ferry a month or two in advance as it does fill up fairly quickly, and it was a serious highlight to our trip. 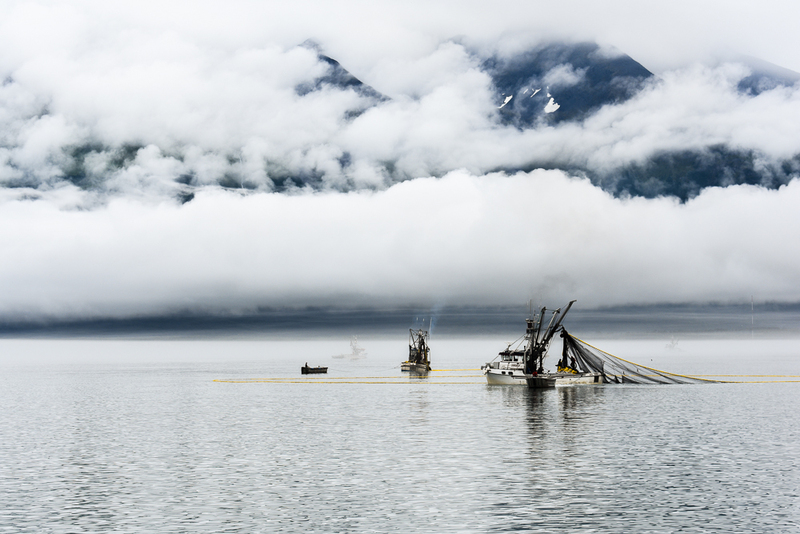 Prince William Sound provides absolutely stunning scenery of mountains, waterfalls, and glaciers. In the right season you can also see whales and other ocean wildlife. We weren't so lucky. The ferry has both indoor and outdoor options for seating and viewing, as well as a cafeteria. 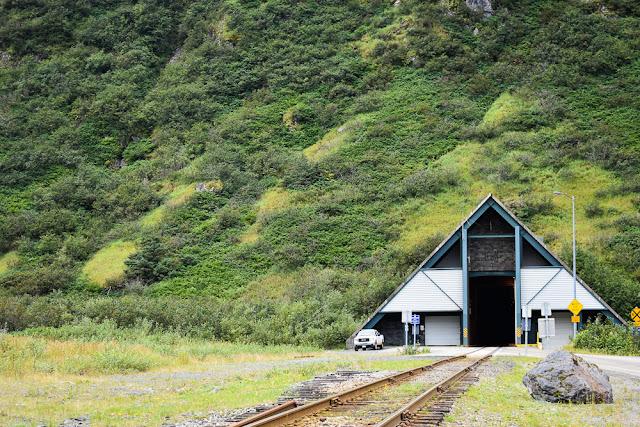 The Anton Anderson Memorial Tunnel is a must if you're driving through Alaska at all. It is the longest highway tunnel (2.5 miles) in North America, single lane, includes a freight line, and is shared by both cars and train going in both directions. What does that translate to? Waiting in line for 20-30 minutes before potentially entering the tunnel. 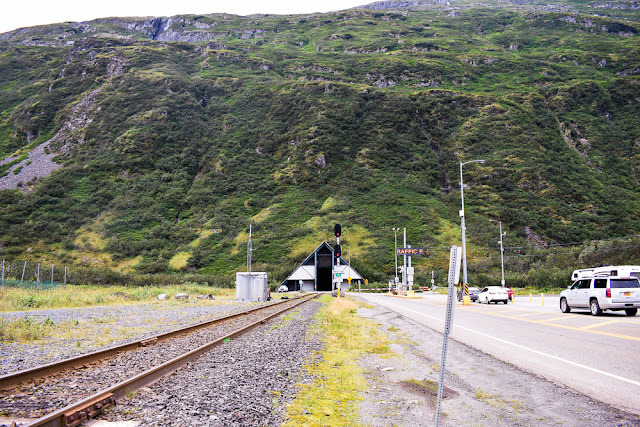 It is also the only way in and out of Whittier making this port an incredibly unique little stop in Alaska. This tunnel passes through the glacial mountains that separate Whittier from the rest of mainland Alaska. 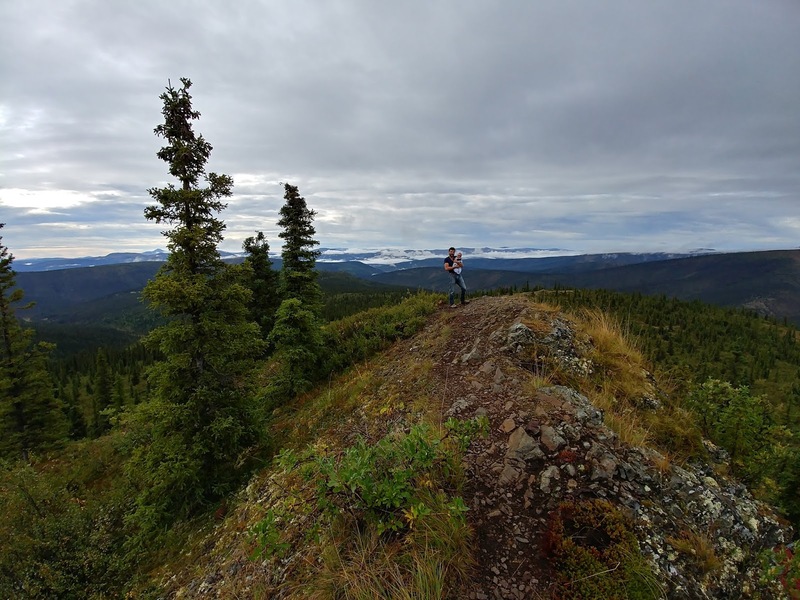 Anchorage is the main business hub for Alaska and boasts an incredible array of hiking and other recreational opportunities. Top things to check out include Snow City Cafe (amazing brunch/lunch menu, but get there early. It's popular with tourists and locals alike), and the Alaska Aviation Museum. Both super affordable and can be done together in a day. We also checked out a really good butcher shop for sausage called Alaska Sausage and Seafood (a fairly typical meat shop, but the best sausage I've ever had). I think I've been finding any reason imaginable to talk about the Top of the World Highway. It's pretty out of the way, but I will never have to guess what heaven looks like anymore. 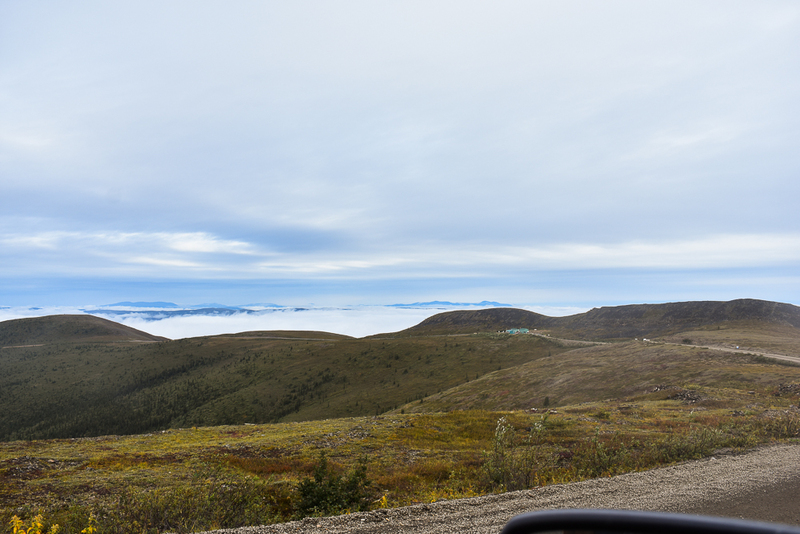 Gravel road that follows the very tops of these alpine meadows through northern driveable Alaska and the Yukon. Endless opportunities to stop and take pictures and breath in the glorious smell of the high alpine conifers. I feel like this is the kind of place people write poems about. I've included Wrangell-St. Elias National Park because my heart was just so set on getting into this pretty inaccessible national park. This park is a behemoth, being the same size as Yellowstone, Yosemite, and Switzerland combined!!! There are basically two ways in through Nebesna and Chitna. We drove into the little town of Chitna and were going to venture down the forest service road (McCarthy Road) to the smaller and historical mining towns of McCarthy and Kennecott where there is an old restored mine. There are also accommodations available in both McCarthy and Kennecott however the road access is very poor. Many locals told us to bring up to a full set of spare tires before heading down this Forest Service Road. 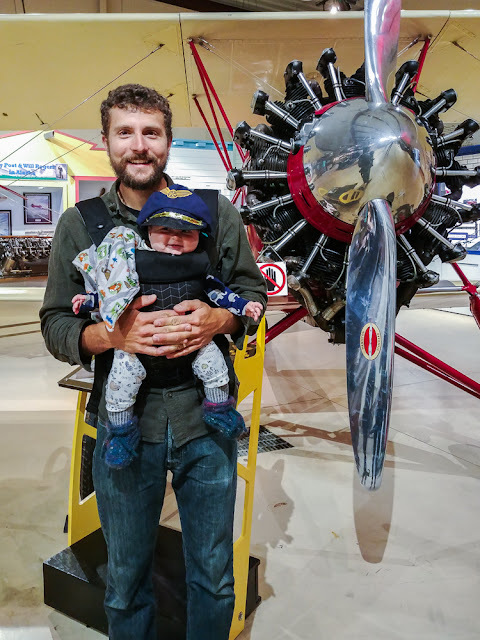 If it was just the two of us we would've gone for it, but stranded with a baby wasn't on my list of activities for Alaska. We passed on the option and decided we would try again if ever we came back. So this photo of us has the Wrangell-St. Elias mountains in the background barely visible due to the clouds rolling in. But PLEASE check it out and tell me how amazing it is!! Valentine's Day is tomorrow you guys!!! Whose excited?!?!? Valentine's Day is such a sneaky little holiday. It takes us all a couple months right to recover from the Christmas/New Years mayhem am I right?! so apologies to all you January birthdays who get missed by friends and family because we all have our heads in the 'holiday sand'. I always feel like Valentine's Day sneaks up and then its a mad scramble to pull out some ideas for ways to show those around us that we love them. 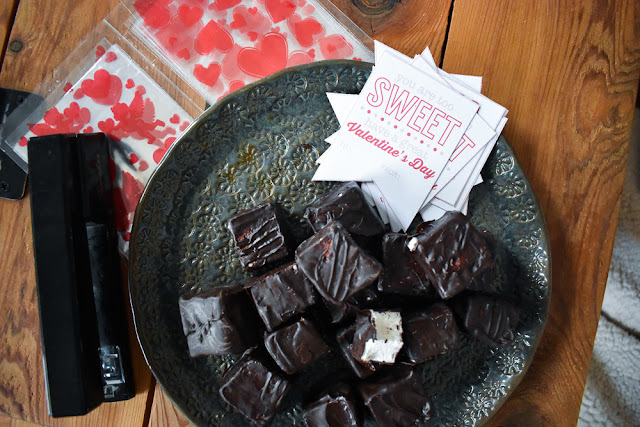 This year I was ready and did up a batch of homemade marshmallows dipped in dark chocolate and wrapped them up in a Valentine's Day theme to drop of at our friends places. Here's what I used and how we spread the love. * Homemade or store-bought sweets of your choice (I'll review the recipe I used below). * Printed or handmade Valentine's Day tags (I printed mine from here). * Cellophan Valentine's bags (mine are just from the dollar store, but these ones are similar). * Stapler or twine to tie your tags to your bags. The recipe I used is from Butter Baked Goods. 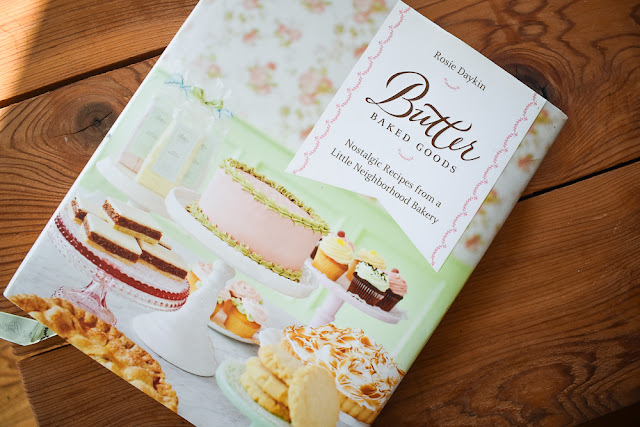 Such a great baking book. 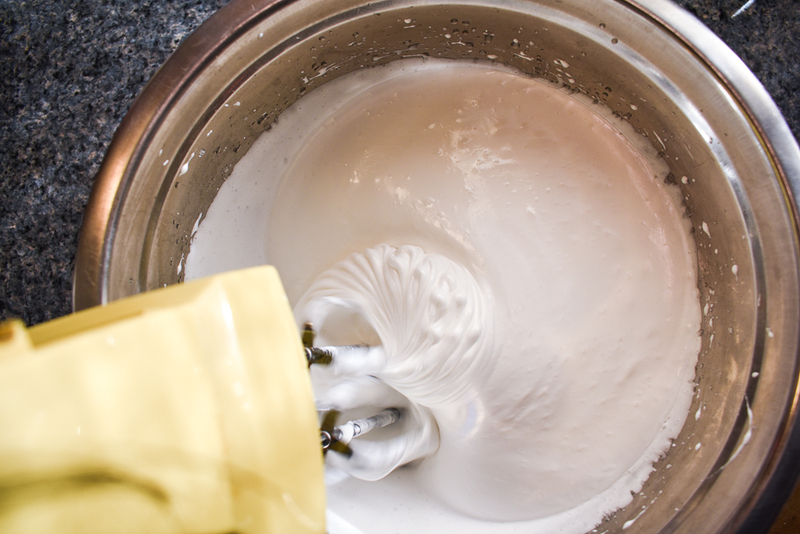 Their marshmallow recipe especially is out of this world. 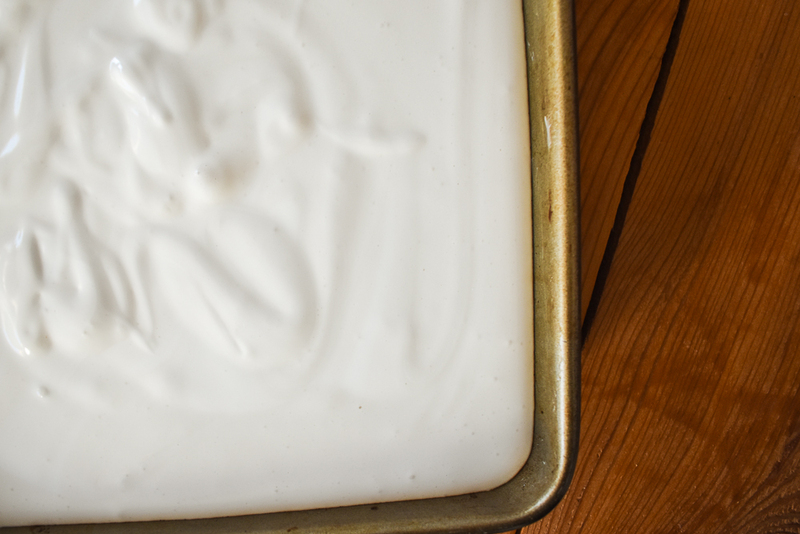 I would be huge if I let myself make these super easy marshmallows as often as I want them. I also think about them as a topping on so. many. bars. You see how things can escalate for me quickly when it comes to sweets. And Butter (the bakery in Vancouver) does so many incredible marshmallow flavours. They even share a couple in their cookbook. I should also note that in the tradition of spreading love at Valentine's Day, I feel that I am spreading more than the sweet treats I make for friends, because I love baking. And that love goes into the things I make and thus onto those who receive it. And this recipe is also one of the most stunning raw ingredients-to-baked good processes I have ever experienced. You know (for the bakers out there) how humbling and romantic it can be to knead out a roll of sweet bread for cinnamon rolls by hand? Well that's the same sort of feeling I get when beating the ingredients that go into these marshmallows and pouring them into the setting pan. I would love to share the whole recipe with you, but you'll have to buy the cookbook to find out exactly how these come together. 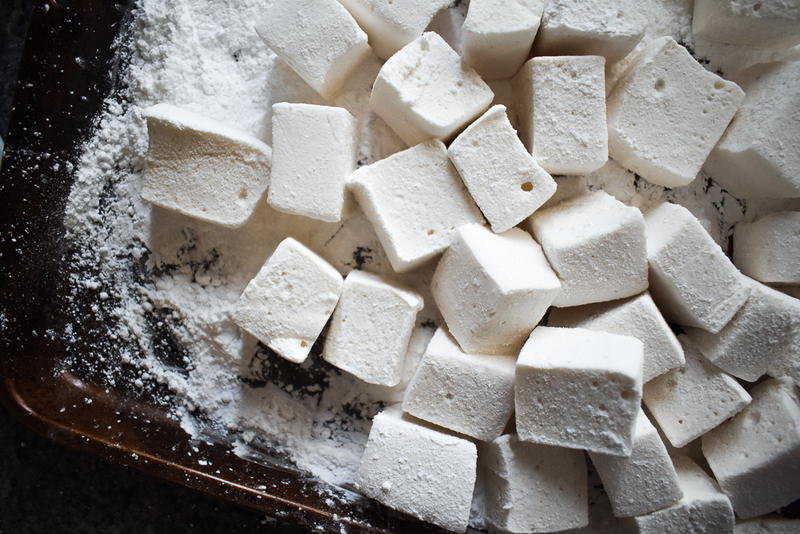 Otherwise there are likely common recipes on foodgawker.com, but definitely be clear that they are not like these marshmallows. And for something so gooey and potentially likely to stick to everything, this recipe is quick and so easy. The whole pan (once it has set for 3 hours or over night) gets lightly pulled loose by a knife and then the whole slab falls in one piece onto a baking sheet dusted with lots of icing sugar. The whole slab then gets covered in icing sugar to take away the sticky consistency, and then cut into 1" squares. Each square is generously rolled in icing sugar and then set aside to devour later, add to hot chocolate, or await its fate with warmed dark chocolate. 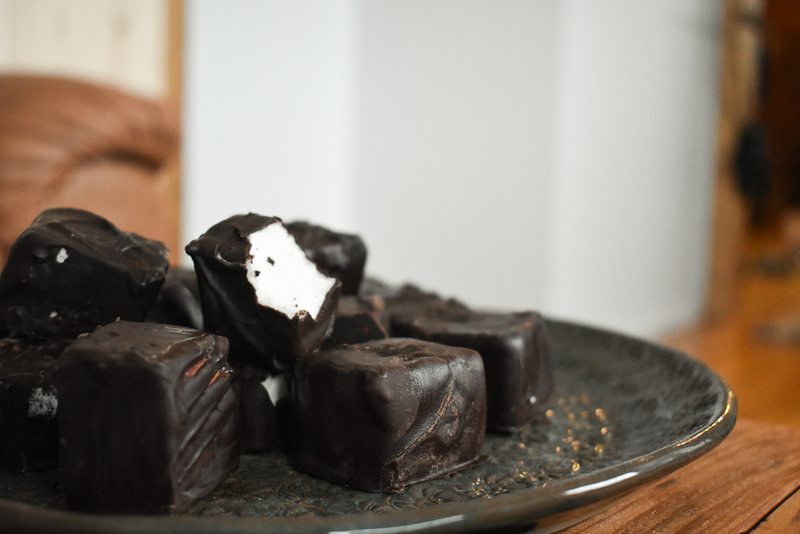 Once dipped I rested each marshmallow square on a baking sheet lined with parchment paper to set and prepped my packaging . Once set, I then carefully placed a few marshmallows in each cellophane wrapped bag, addressed my tags, and stapled them to the closed bag. Ready for delivery to all our friends. 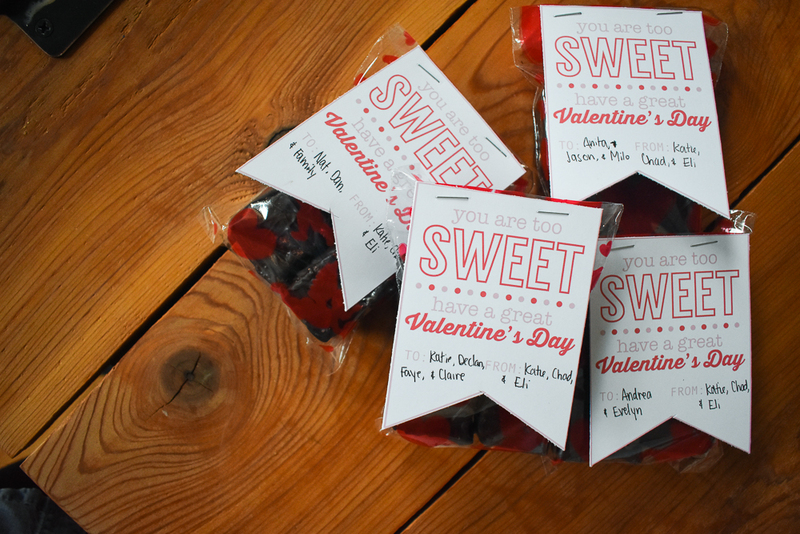 Hope your ways of spreading the love are just as sweet as ours are.